At a year’s close, before looking ahead, one can’t help but become a little retrospective. 2011 was a big one for me. We celebrated the birth of my first child, Grayson. I decided to stick my toes into the NewSpace entrepreneurial maelstrom and started my first business, Astrowright. 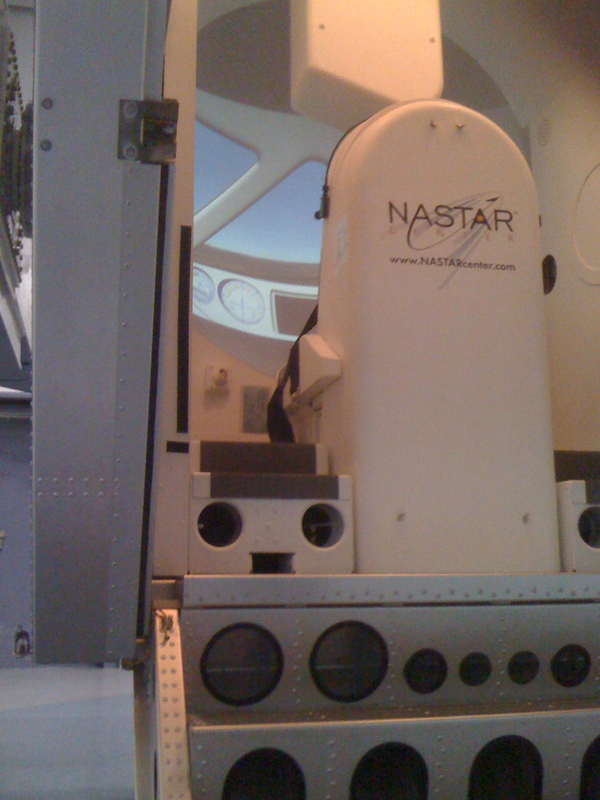 In a fulfillment of a lifelong ambition, I attended suborbital scientist-astronaut training at the NASTAR Center. I completed my first year of grad school at UND (and then some), rounding the halfway mark toward a Space Studies degree. To defend my own research, I was forced to engage an angry post-doctoral researcher in print. At work, we supported radiological emergency response for the Fukushima nuclear disaster – (heavy stuff). In a complete surprise, I may have had a field/popular science television project land in my lap. The first commercial spaceflight of Virgin Galactic‘s SpaceShipTwo! The first docking of a commercially built-and-operated spacecraft, SpaceX‘s Dragon, to the International Space Station! The third-annual Next-Generation Suborbital Researcher’s Conference – where I believe the partnerships of tomorrow’s commercial space ventures are being forged! The Mars Science Laboratory, a car-sized exploration rover named Curiosity, will land on Mars in Gale Crater to search for evidence of life! NASA’s GRAIL spacecraft will zero in on the Moon’s uneven gravitational field, paving the way for more advanced operations, such as a potential lunar base! There are others, and this list is obviously biased, but my point is that in contrast to the drumming of the apocalyptic marketing machine, there is much to look forward to in the coming year that will set the stage for even more exciting events in 2013. So, let the doomsayers have their fun. The venturers will have the last laugh. Cheers to a safe and prosperous 2012! On one hand, NASA finally opened another selection announcement for the next class of astronauts. Until the end of January 2012, anyone with the grit, drive, and the moxie to put their hat in the ring will be stacked up against the best of the best for a handful of new astronaut positions. Contrary to what many believe in the post-Shuttle NASA environment, what awaits these future spacefarers is more than just maintaining the International Space Station, showing up at press appearances, and performing (much needed) education public outreach. …NASA is also hard at work, developing a new, Apollo-style spacecraft intended for deep space missions (Orion MPCV) while exploring the possibility of using it to visit and explore near-Earth asteroids. Not a bad time to get involved, all things considered. 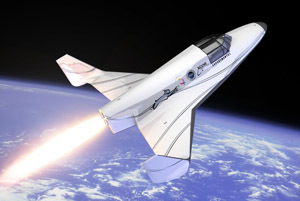 As if that weren’t excitement enough for the day, on the commercial spaceflight front, the Southwest Research Institute announced a partnership with XCOR Aerospace to offer a free suborbital spaceflight to one exceedingly lucky attendee at the next Next-Generation Suborbital Researcher’s Conference (NSRC)! That’s right, a research seat in a spacecraft may be yours for the cost of attending and participating in the conference, slated for the end of February 2012. The only obligations of the winner are to find their own way to the waiting spacecraft and create and provide an experiment for the trip. 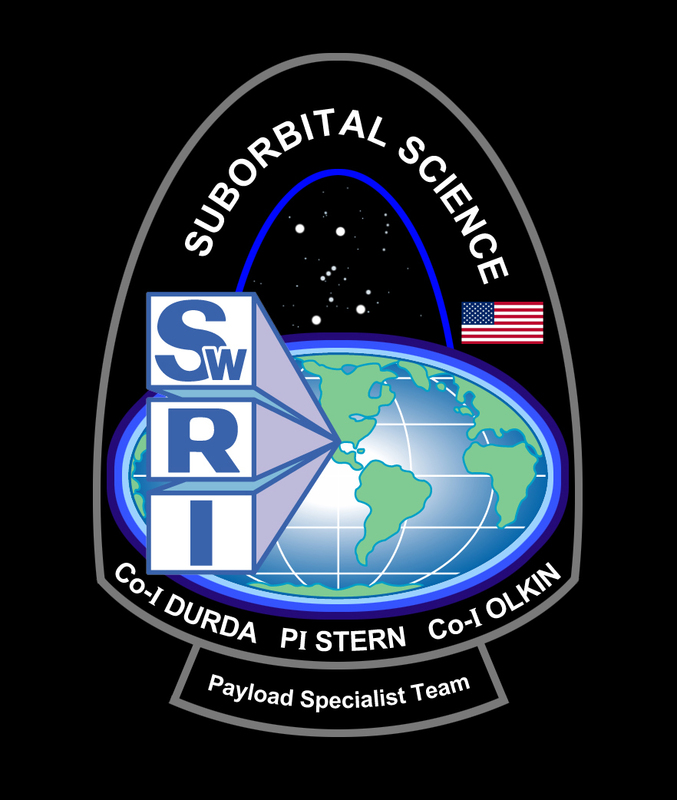 The NSRC, the third conference of its kind, brings together commercial spaceflight industry pioneers, regulators, and both private and federal researchers to explore the opportunities and possibilities presented by the many private suborbital spacecraft currently in development. 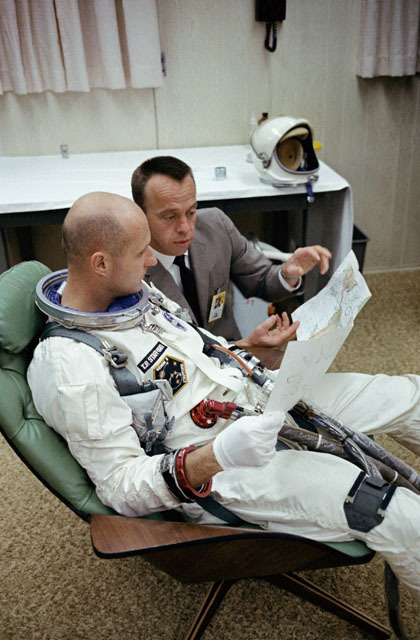 A quick note today on a very excellent blog series called Space Suit of the Week. 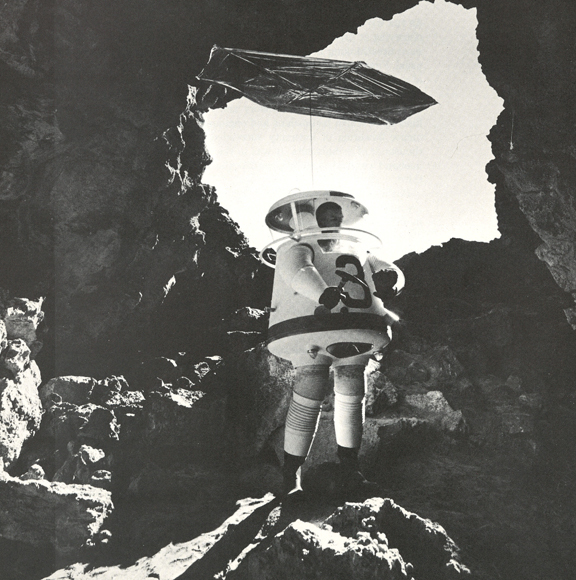 Its weekly contributions feature, unsurprisingly, space suits as they appear in art, culture and history. While entries vary in style from edgy or morbid to fascinating and fun, the posts carry readers on a romp through some of the most identifiable imagery in our collective psyche. It’s quite awesome. The series is actually a sub-part of the The Fox is Black blog, which is billed as an “art and design website that seeks to discover and share the most interesting, beautiful and inspiring parts of contemporary life.” I’d say that space exploration definitely fits the bill. 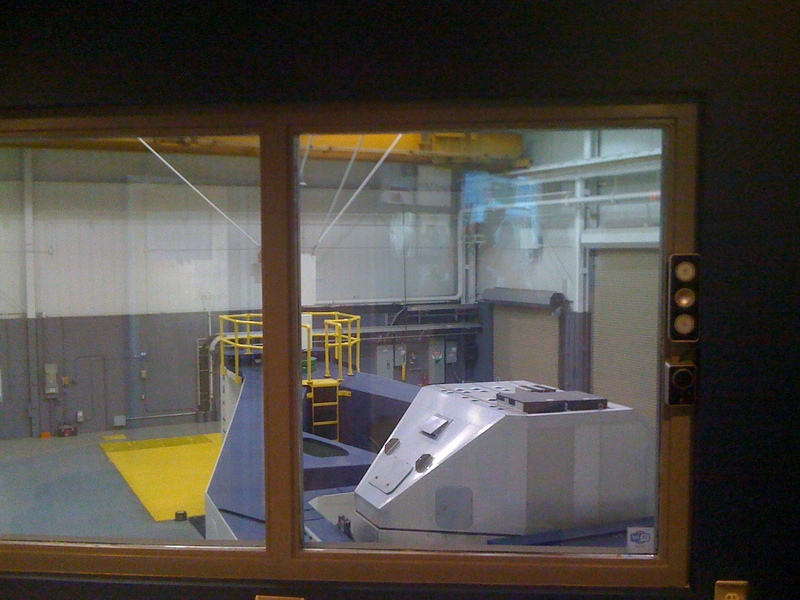 View of the NASTAR Center's Phoenix centrifuge simulator interior from the observation lounge. It’s hard to believe the last day has already come and gone. This program was worth everything it took to get here, from the fundraising and the family support (thanks, guys!) to the late-night flights and the headaches, (juggling finals for grad school comes to mind…) Trust me, it delivered. 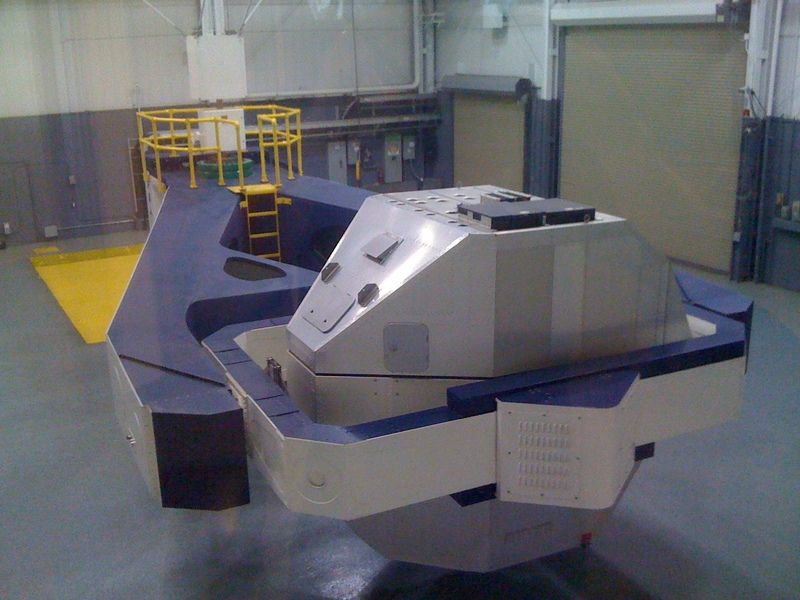 Entrance to the Phoenix centrifuge simulator, retrofitted as the STS-400. So, though it was basically impossible to get any sleep last night, the morning came early enough. After a quick continental breakfast, I checked out of the hotel and blasted on over to the NASTAR Center for our early morning briefing prior to our “full monty” flights. 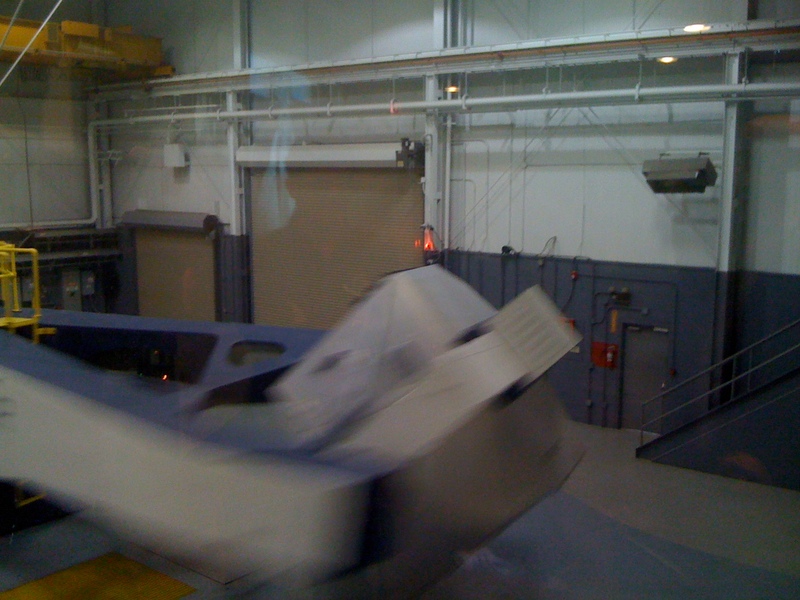 These centrifuge “flights” were to be very different from the training experiences we had yesterday, which delivered to us only forces in specific directions, (i.e., pressing us either straight down or straight back into our chairs.) 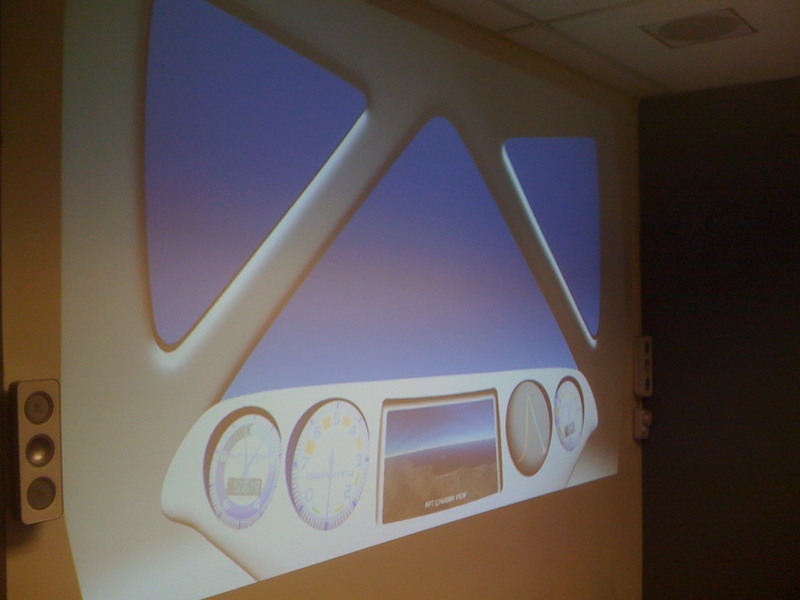 Today’s simulations, on the other hand, were forged directly from the cockpit sensors of Virgin Galactic’s SpaceShipOne flights and would include a mix of forces – the mix of forces. -The actual forces you feel when launching out of the atmosphere. 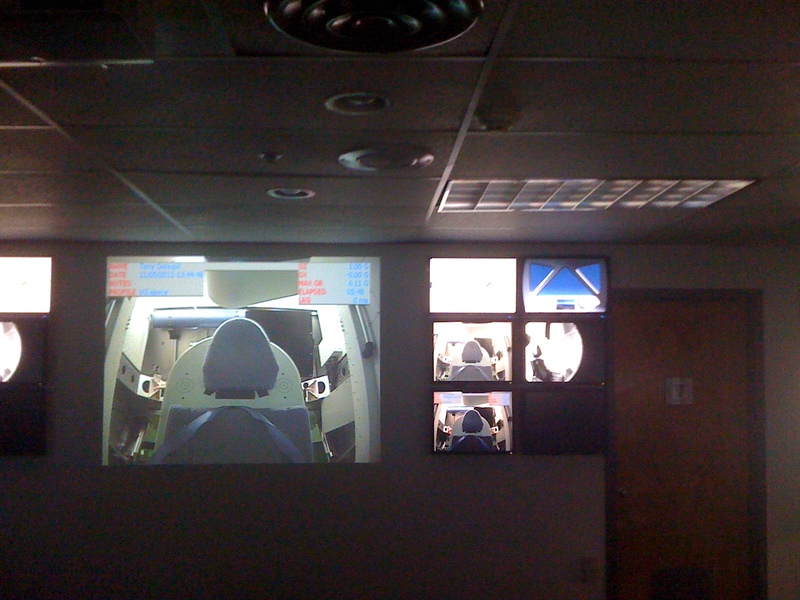 View of the STS-400 simulator cockpit display as seen projected in the observation lounge. That’s something that was difficult for me to wrap my head around. This is what an exo-atmospheric launch really feels like, and it includes the extreme forces felt at both launch and re-entry. The morning coursework was brief, and the anticipation was palpable as we made our way to the observation lounge to cheer on our training-mates for these full-scale centrifuge simulations. 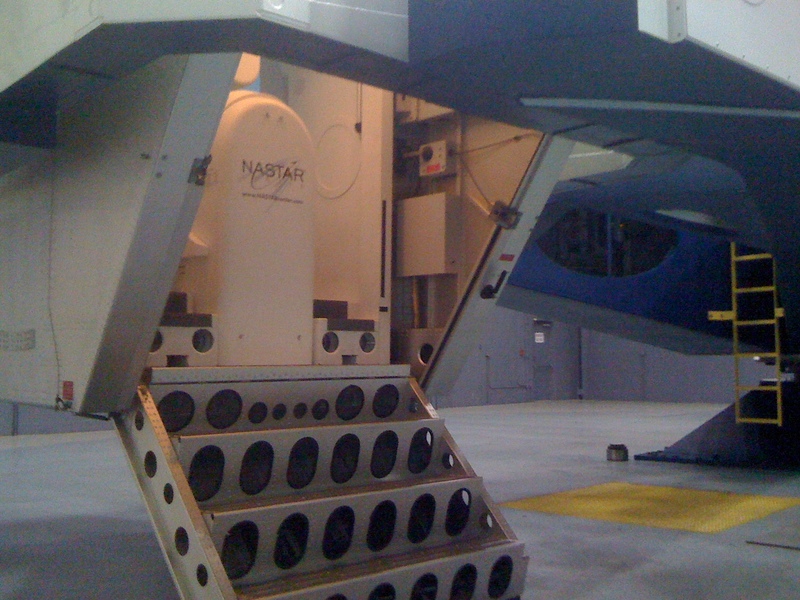 In large part, since we first stepped through the complex doors, the entire NASTAR program had been aiming for this moment. One-by-one, we were then led into the centrifuge bay as the others looked on. I imagine the experience here provides a mild sense of what it must feel like to take that final walk down the gangway, scaffold, or corridor to your waiting spacecraft. Even though I knew that this was a simulation, the simple fact that the forces are real was incentive enough to get the body’s adrenal system ramping up to full speed. View of NASTAR's Phoenix from the observation lounge. 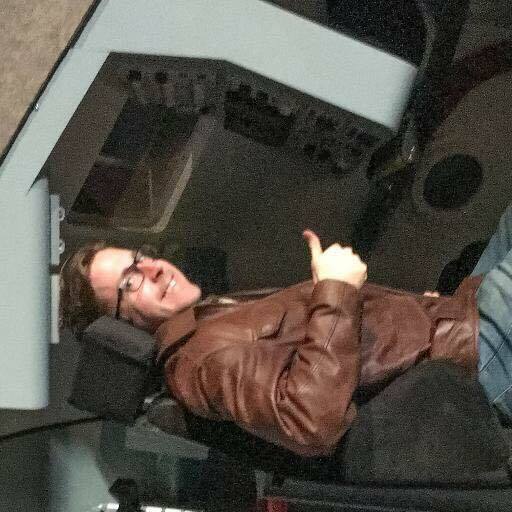 Upon climbing into the simulator, I received a brief safety and communications briefing, the seat was ergonomically adjusted, and I strapped into my five-point harness. Before I had much time to let it all settle, I was latched inside and the interior lights blinked off. 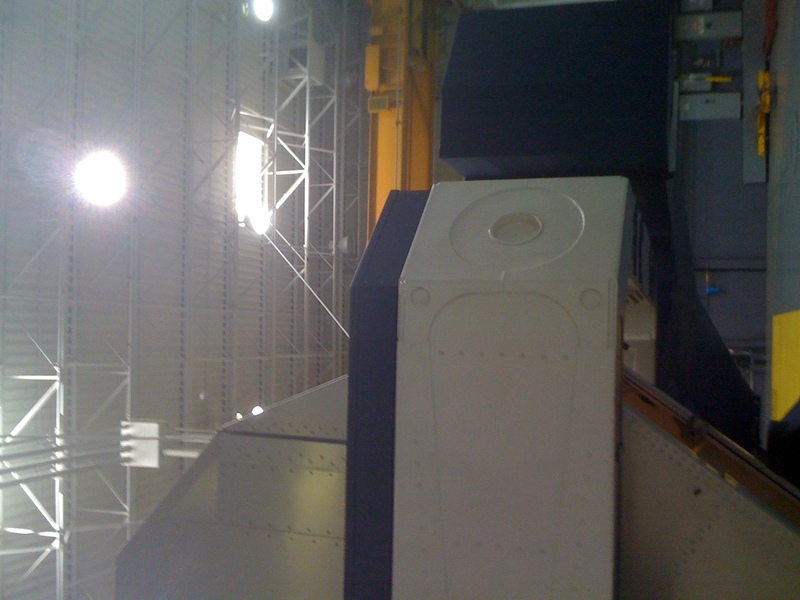 A subtle hum as the centrifuge began to idle gave the simulator a very real sense that it was a “living” spacecraft, and the only illumination in the cabin was now emanating from my forward display. Along with an array of indicators and dials, the viewscreen in front of me projected a photorealistic vista of the desert southwest from an altitude of 50,000 feet. Looming above me, the undercarriage of a WhiteKnightTwo-type mothership swayed ever-so-slightly as we circled, waiting for clearance to drop. A pleasant sounding voice, (which I was later told was provided by a woman named Susan,) then counted down from five, and with a quick jolt, we (my spacecraft and I) detatched from the mothership and began plummeting through the sky. After only a couple of additional seconds to find the pit of my stomach and prepare for the imminent event, the voice again counted down to rocket ignition. -And let me tell you, when that motor snapped on, it was a kick in the pants like nothing you’ve ever felt. With a splitting crack and a roar, I was stomped back into my seat with every ounce of what I’d come to expect from a spacecraft rocket launch. 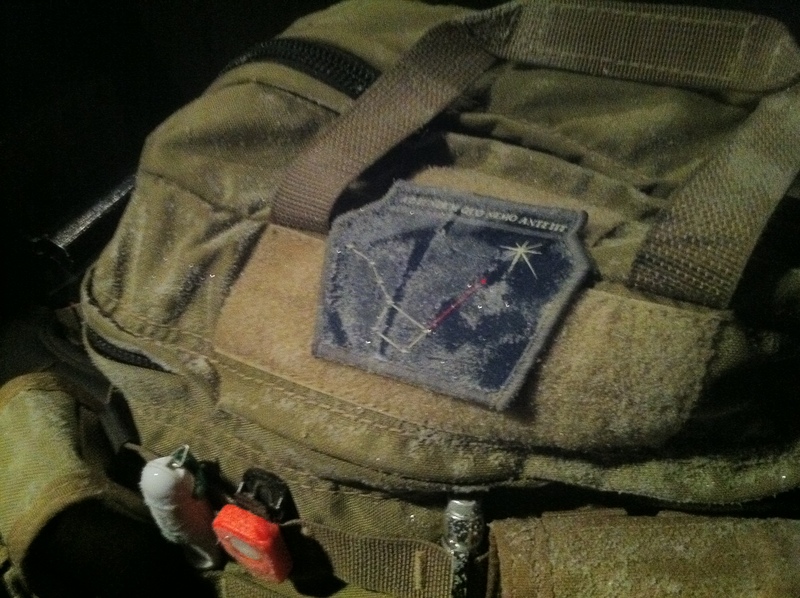 As the craft pitched upward and accelerated away from Earth, I found myself instinctively engaging the gravity countermeasure techniques that I learned in the previous’ days training – a purely reactive move to keep my wits about me. Then, in a surprisingly short period of time, the blue out front faded to black and the engine cut out. Accompanying a soothing sort of silence, the g-forces eased off completely, and the glowing limb of the Earth slid into view amongst a sea of beaming (not twinkling!) stars. Congratulations. You’re officially off the rock. Even though I knew it was a simulation, there’s something about going through the complete process that’s honestly fairly emotional. This is as close to doing the real thing as you can get. So, for the scientist, there ‘s a trick with a suborbital flight as opposed to an orbital flight, which is that you only get a few minutes of weightlessness in space before you have to strap back in for re-entry. -Many don’t realize that these suborbital spacecraft aren’t going fast enough to make full orbit and are instead only designed for short “hops” out of the atmosphere. Doing so is much more cost-effective and technically simpler than going into full orbit, but any science you intend to perform, therefore, must be performed immediately and flawlessly. -You only get one shot. Now, I hadn’t brought along any official sort of experiment to perform during the simulation, but not wanting to waste the opportunity, I squeezed in a tongue-in-cheek learning experience. In what I intended to be a rough approximation of an experiment requiring fine motor skills and some creative thought, I carried my phone along in my flightsuit and attempted to bang out a quick tweet from apogee (the highest point before the spacecraft began its descent.) This wasn’t as easy as it seemed. I made it – (you can find it on my Twitter feed @bwmcgee as the last tweet on May 11th) – but I unexpectedly lost precious time and wouldn’t have made it if I’d been planning to cut it close. Why the unintended close call? After all was said-and-done, and after all of the g-tolerance training and the pressure breathing techniques, it was adrenaline that I found to be my biggest problem. This was an intense experience. Frankly, I was excited. And even though I felt completely under control, my fingers were trembling; it cost precious seconds to correct inadvertant typos. My recommendation is that relaxation techniques should be included in future training. I definitely plan to give adrenaline-mitigation some extra thought in the future. All-too-soon, the pleasant voice came back on to announce that re-entry was beginning. Re-entry is actually one of the most forceful parts of the flight, which is fairly counterintuitive and isn’t very well communicated to the public (in my opinion). Distilled succintly, consider that when someone slams on the brakes, a person is (familiarly) crushed forward against a car’s seatbelt. Now, imagine a person to be sitting backwards in the seat when the driver suddenly brakes – he or she will be forced backwards against their backs (the very premise of rearward-facing child car-seats). Now, imagine that the car is actually a spacecraft moving at thousands of miles an hour, and the act of “braking” is the process of the spacecraft slamming into the Earth’s (essentially) stopped atmosphere. Your back in this case is pressed into the spacecraft with shocking force. In all, while surprisingly intense, the heaviest g-forces don’t last for more than a few seconds, and the experience is quite manageable. As quickly as it all began, my spacecraft returned to aerodynamic flight for (presumably) a smooth glide landing. A gentle shove upward from the spacecraft let me know that its wings were once again generating lift, and the pleasant voice welcomed me home (“astronaut”). Then the lights blinked back on. Time to get out. Alas. 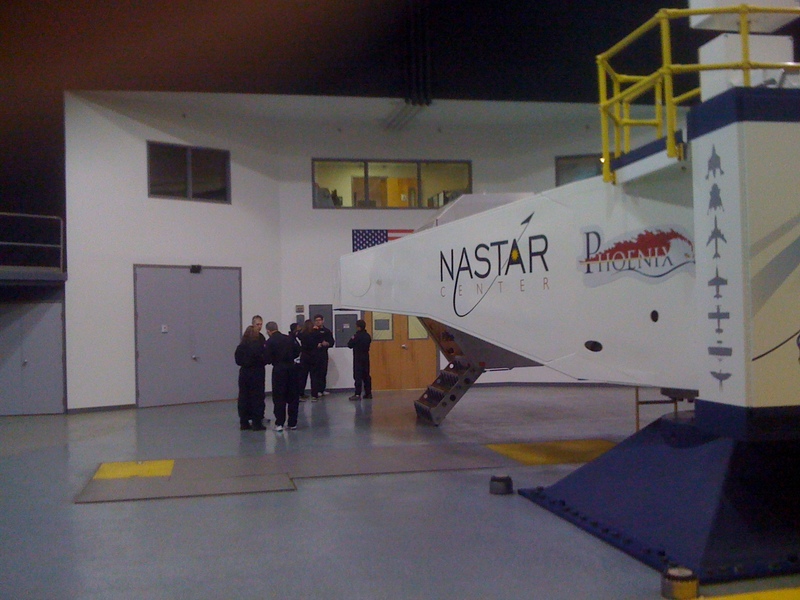 NASTAR suborbital scientist-astrounaut program graduates, milling about the centrifuge after being "pinned" with their wings. After everyone was finished with their full simulations, and after cheers-and-high-fives-aplenty were exchanged, we engaged in a debriefing where we shared our thoughts and suggestions with the staff. This appeared to me to have been a very productive meeting, the fruit from which I imagine we’ll see in the coming months and years. The debriefing was followed by an awards ceremony in the centrifuge bay next to the Phoenix, where we were each presented our NASTAR wings. I’m pleased to report that everyone in Suborbital Scientist Class #4 passed exceptionally. It was particularly exciting for me, looking at my training-mates who each appeared to stand a little taller, (even if only due to our spinal columns having been spread out under high-g,) to note that many if not each of my classmates will likely have flown into space (becoming true astronauts) in the next few years. We each were standing amongst the pioneers of a new chapter in spaceflight, and I consider myself quite fortunate to have been able to take part. Honestly, the rest of the day quickly became a blur of rental cars and freeways and airports… and I haven’t yet really had the opportunity to process it all. I found the whole experience, human and technical, to be wildly educational. No doubt there will be more revelations to come. …but first, I have to finish my term papers. It’s finals week at North Dakota, and there’s no rest for the wicked. Thank you, loyal (and new) readers, for joining me as I took one small step *ahem* closer to getting off the rock! With any luck, this is only a taste of things to come.